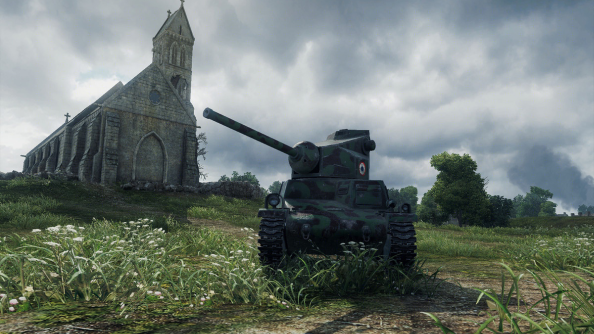 With 140 million players fueling World of Tanks, where does it trundle next? 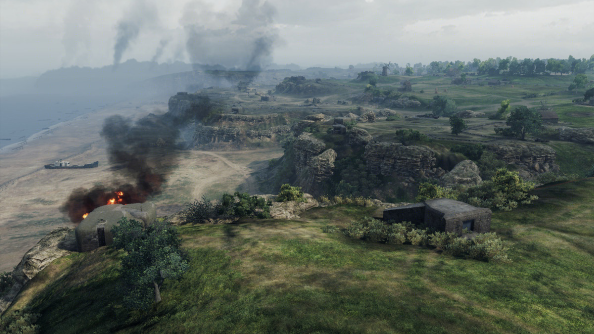 Is everybody who would be into World of Tanks already playing it? If not, what’s putting them off? These are the luxury questions of PC development: the sort studios ask themselves only when they’ve long since breathed the sigh of relief of breaking even. Looking to sally forth into 20th century history? These are the best World War 2 games on PC. In Wargaming’s case, they find themselves five years on from the EU release of their multiplayer niche prospect with 140 million players, wondering if there are still more to be had down the back of the couch. Just to clarify: that’s not on the Xbox One and PS4, where World of Tanks has just arrived, but on the PC, where it’s been entrenched for half a decade. And Wargaming aren’t simply being bullish. They’re done their analysis, run the numbers, and worked out there’s room to expand in Europe. Where will they find these would-be crewmen and women? Some, they suspect, are sold on the idea of tracked armour but overwhelmed by the 10 tiers of tanks now in Wargaming’s garage – totalling 400+. Recent updates have targeted new players, and Wargaming are now simplifying the initial levelling process – ensuring the vehicles available after sign-up are first tier, with the minimum amount of modules to research. They’re also building on personal missions – the in-match objectives which are “all about taking things one at a time” (“Don’t fret,” read the developer’s reassuring introduction last year). Marketing are also behind the now-monthly events Wargaming run. But the cadence of actual updates is slower than you might expect. Muraska and his team are wary of annoying their regulars by “spamming with patches”. 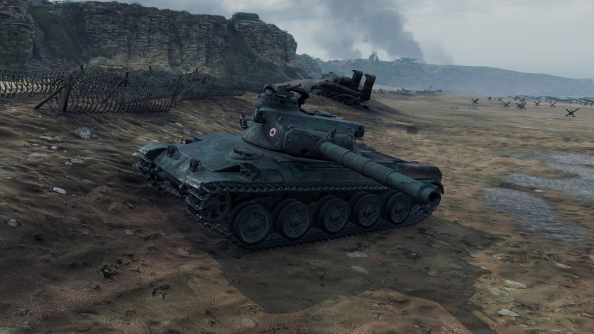 Before this month’s batch of deep tweaks, it had been all quiet since the introduction of Czech vehicles back in December. 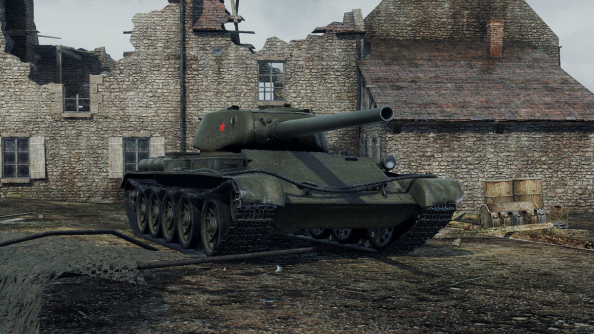 What’s intriguing about the March update is that even now, Wargaming are making improvements to World of Tanks’ core tech.The changes to physics that rolled in two weeks ago represent months of back and forth over precisely what dosage of history makes players happy. In the first iteration, Wargaming embraced the “extreme” reality of propelling a 60-odd tonne vehicle over iffy terrain. After that they overcompensated, plumping for a physics model that felt less frustrating but didn’t convey the fantasy – that testers were operating heavy military machinery. The winning, goldilocks solution lay somewhere in the middle. It’s a similar process whenever Muraska’s team – based in Wargaming’s Minsk office and assembled from hundreds of staff, including full-time archivists – introduce a new vehicle to World of Tanks. Wargaming have learned not to trust their gut but to dig through reams of stats to see how the data compares with the public perception. And that tension between real history and “comfortable gameplay”? It never ends. 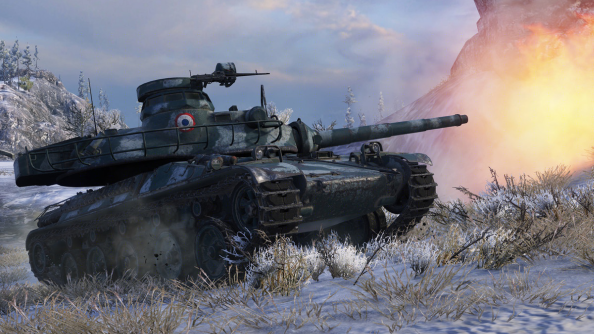 2016 promises perhaps Wargaming’s biggest balance puzzle yet. September 15th marks the 100th anniversary of the Battle of the Somme – the first ever conflict to feature tanks. But the prototypical British Mark I, which combined the caterpillar tracks of a US tractor with iron armour, would be no match for the more contemporary machines in World of Tanks’ catalogue.